With winter weather comes cold and flu season. Children are germ magnets, and preschools and daycares especially can become a breeding ground for bacteria. Since young children are particularly susceptible to catching contagious illnesses, teachers and caregivers must be extra cautious when preventing disease in the classroom. Preschool Health and Safety Matters by author Jody Martin helps teachers best determine how to manage illness in the classroom. The book features easy and effective strategies to disinfect the classroom environment, encourage healthy washing habits, and identify when a child is too sick to be in school. 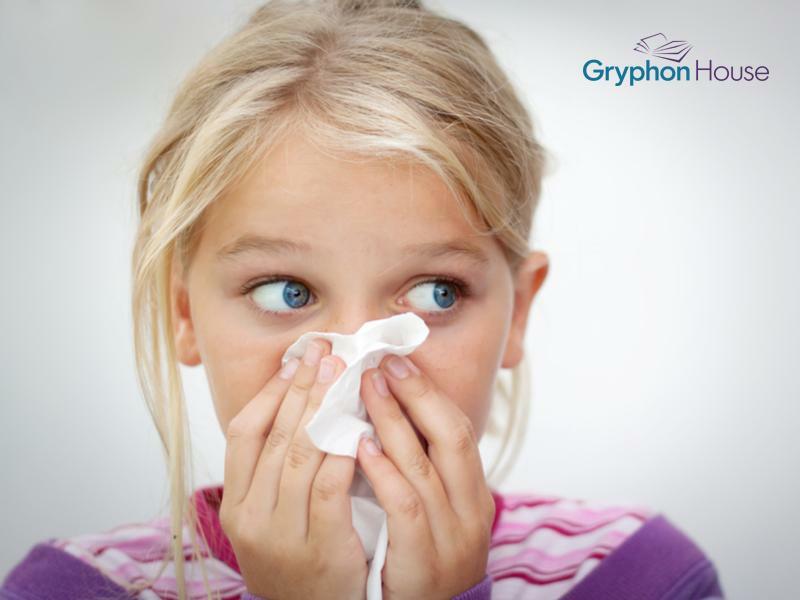 Below are a few tips on how to keep your classroom happy and healthy this cold and flu season. And now our hands are all clean! Have the children sing this song to themselves each time they wash their hands. That way, they remember the proper technique while also making sure they wash long enough to kill any lingering germs. Sanitizing: Hands aren’t the only places germs can hide; toys and tables also hold contagious cold viruses. The surfaces your children use every day should be both washed and sanitized regularly. What’s the difference? While washing (scrubbing with soap and water) removes the surface grime, most cleaning soaps aren’t antibacterial, which means germs can still be there. Sanitizing is using a cleaning product to kill the germs left behind. A simple bleach and water solution can do both at the same time: Simply mix one tablespoon of bleach per quart of water to make a safe solution that kills germs. Use it on toys, desks, whiteboards—anything that might need cleaning. If a child displays any of these symptoms, he is likely too sick to go to school and may risk passing on illness to other children in the classroom. If you notice a child with these symptoms has come in to preschool or daycare, it is best to call the parents and ask if the child can be brought home. Nobody wants to get sick, but with the right precautions, teachers and caregivers can prevent the spread of germs and make cold and flu season easier for everyone!